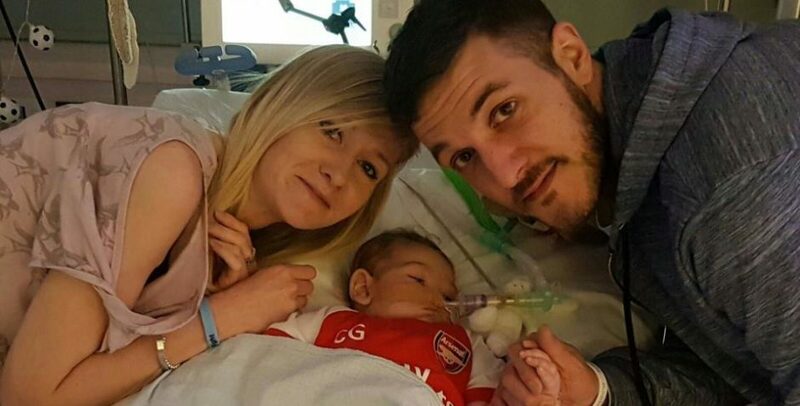 Charlie Gard case: The limit of the rights of parents to respect to the life of their children. In a decision of the 27th of June 2017, the European Court of Human Rights has just proven wrong a British couple who has been fighting for their 10 months old son, who suffers from a fatal disease, not to be “switched off” and for him to be allowed to receive a “last chance” experimental treatment in the United States. The Strasbourg Court judged, by the majority, that the British jurisdictions could legitimately estimate, in the light of medical experts’ reports, that it was not in the interest of the child to continue to live with artificial respiration nor to receive a new experimental treatment. According to the British judges, these treatments were of no benefit to him and the child suffered considerably. As a consequence, the British hospital in which Charlie had been admitted will be able to keep him against his parents’ will and to stop his artificial respiration, until his natural death. At the heart of this case is the identification of the “best interest of the child”. For the hospital and the British judges, his interest is to die in order to stop suffering. For his parents, it is to try anything possible for him to live. On this point, the Strasbourg judges consider “obvious” that the interest of the parents is opposed to that of their son (§ 67). In other words, according to the Court, the British authorities were right to consider that the parents were showing an unreasonably obstinacy which was detrimental to their son. Another question is to know who is the best guarantor and judge of the interest of the child? In principle, it is its parents. But to circumvent their refusal of the cessation of care, the British authorities have named a guardian to represent the child. In an unrealistic twist, the Court imagined that the baby had a free “will”, that to die, and that it was expressed by the guardian. The Court indeed noted with satisfaction that “whilst [Charlie] could not express his own wishes, the domestic courts ensured that his wishes were expressed though his guardian, an independent professional appointed expressly by the domestic courts for that purpose” (§ 92). This would be a guarantee of the respect of the rights of the parents and of the child! Concerning the violation of the right to respect of life, the Court once again hid behind the fact that there is no consensus in Europe regarding the end of life or euthanasia to give a wide margin of appreciation to the United Kingdom, like in the Lambert v. France case of the 5th of May 2015. Thus, the parents of the little Charles, who are bravely supporting him in this hardship will have had the sadness to see the Court confirm, in substance, that they are bad parents and that they have to resolve to let their son die, in his best interest. More generally, the Court underlines that this case is “exceptional”. Yet, the precedent that it gives is dangerous, for it accepts the principle that the death of a child may be decided, against his parents’ will, because of his health state. This principle could lead to accepting the euthanasia of infants, as it is already accepted and practiced in some European countries, as the ECLJ already denounced it. This could be achieved by applying this decision to other children with a serious but non-fatal handicap who, like in the Vincent Lambert case, could be left to die. While the hold of administration and technics, notably medical, on man, is spreading, and that such situations will multiply, the natural and prior character of the rights of parents towards their children must be asserted.